On one our first dates (ten years ago), Tom and I went to see the band Acoustic Syndicate on New Year’s Eve at the Visulite. Acoustic Syndicate is a bluegrass-like jam band that is from NC and very talented. We have seen them a few times since that first date, but not many. This is due to the fact that we are old and have kids and going to see a band at 9:00pm is not an option for us anymore. Thankfully, Acoustic Syndicate played an “early show” this past Tuesday night at 7:30. Tom’s dad was in town so we even had a free babysitter. As excited as we were for the date, we almost didn’t even make it to the early show. Tom came home and said that he was exhausted. I then told him that I needed to lay down for fifteen minutes before we went out because I too was exhausted. My nap lasted ten minutes before Miller and the other kids climbed into bed with me. I seriously didn’t think we would end up going to the show. I tried to change our plans to something low key, but Tom insisted that we should go and that we would have a good time. I am so grateful that he made us get up, motivate and go do something fun and original. We had a great time! As soon as we sat down a friendly girl named Ashley struck up a conversation with us. Then we met her boyfriend who was working with Goose Island beer that was sponsoring the evening. These two kind people gave us free drink tickets, two t-shirts and two pint glasses! Not only did we see a band we love and enjoy our time together, but Tom and I also drank for free and got some goodies to boot. 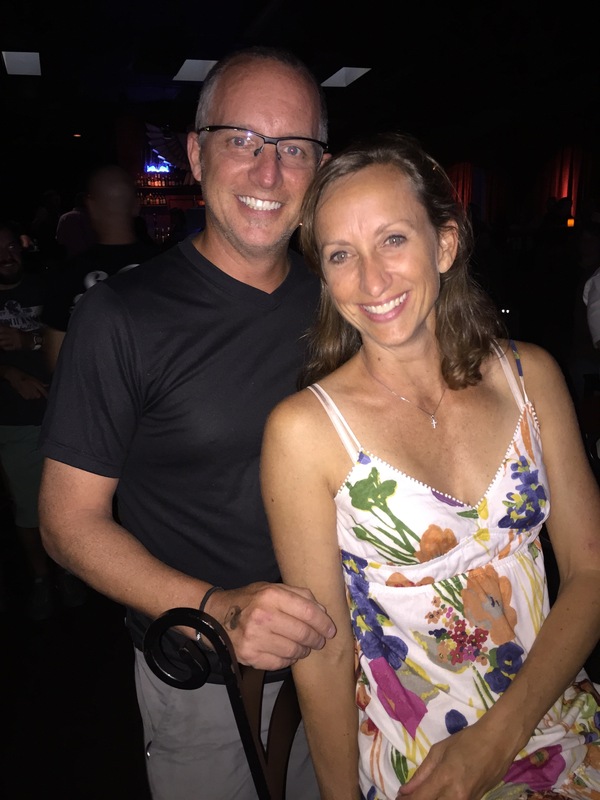 Dates night are hard to come by, but when they do occur I am so thankful that I am married to a guy who likes to have fun and encourages me to have fun with him. This entry was posted in Uncategorized and tagged acoustic, date, night, syndicate on June 11, 2015 by Becca. I can remember the first time that I told my mom that I loved her. I was in elementary school. It was bedtime and my mom was putting me to bed in the back bedroom at the parsonage where we lived in Boca Raton, FL. She left the room and said “I love you.” I remember nervously saying back, “I love you too.” It must have surprised my mom because she said, “What?”. I instantly became shy and said, “Nevermind.” (Believe it or not, I was a bit shy when I was younger.) I am not sure how long it took me to say “I love you” again, but eventually it did become something that was said with more ease. Even if he does say it just to fill the silence, I still want him to say it. Kids really do mimic what they see and hear from us adults. Sometimes Miller will come up to me, put his arm around my shoulder, press our cheeks together and say in his calmest and sweetest voice, “I wuv you so much.” I LOVE it when he does that because his cheeks are so soft and squishy that they feel good against my face and he is doing exactly what I do to him everyday. Miller isn’t the only one to do something so sweet. Sometimes Wilson will come up to me, kiss my cheek, put his head on my shoulder and sincerely say, “Mommy, I love you”. Wilson truly is the sensitive teddy bear of the bunch. He will cry if he misses me during the day or if we talk about moving. One time he started to cry because we were talking about how he would get married and move out someday. It is very sweet. The kids are young and impressionable right now. I hope that the habits we are forming will continue to last throughout their lives and mine. “I love you” is something that I will always say to them and I hope that they will continue to do the same. This entry was posted in Uncategorized and tagged i, love, Miller, you on June 4, 2015 by Becca. The first week of summer was a mix of emotions – boredom, frustration, elation, cheerful, peaceful and stressful. Most mornings I woke up thinking, “What are we going to do ALL day?”. We decided to have a theme for each day (which we didn’t always keep), but I won’t reveal those until I see if we actually do them this week. One day we made peanut butter, oatmeal balls. They consisted of honey, coconut oil, oatmeal, flour, hemp hearts, and chia seeds. A healthy snack that Miller actually ate….a miracle! 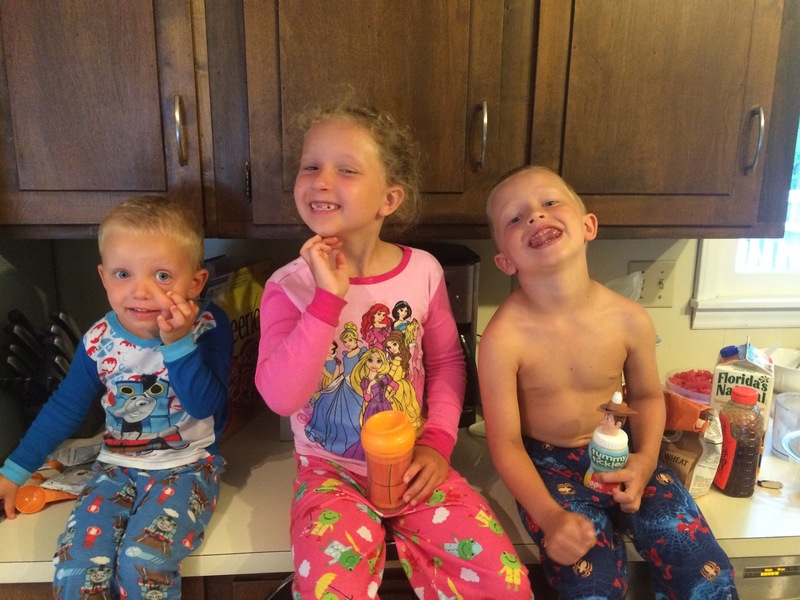 Here are the kids in the pajamas, making silly faces and sitting on the counter while we cook…. 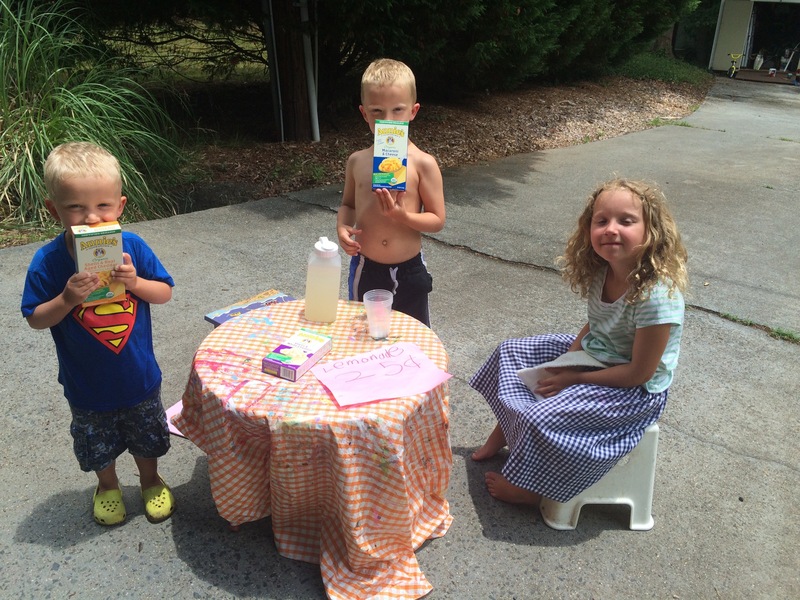 The lemonade stand was a huge hit this week. The kids set up shop at the end of the driveway at least three days this week. They were making good money. Half of the time people just pulled over and gave them money without wanting any lemonade in return. 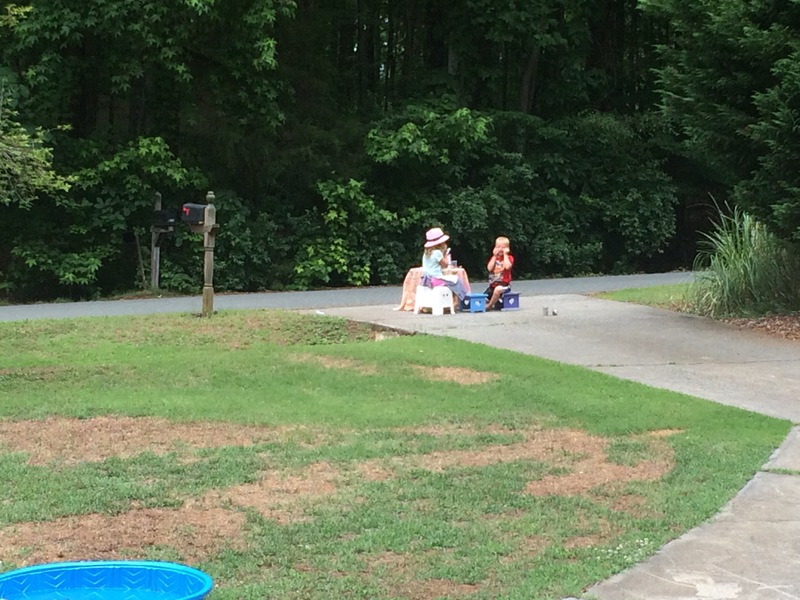 The best part about the lemonade stand was that they were outside and completely entertained. Wilson and Faith sat on their chairs, talked and waited. I am not sure why they had Mac and Cheese out there, maybe they were trying to sell that too….. This next picture makes me laugh for two reasons: 1-they are making silly faces from this far away and 2- They look so cute just sitting out there. 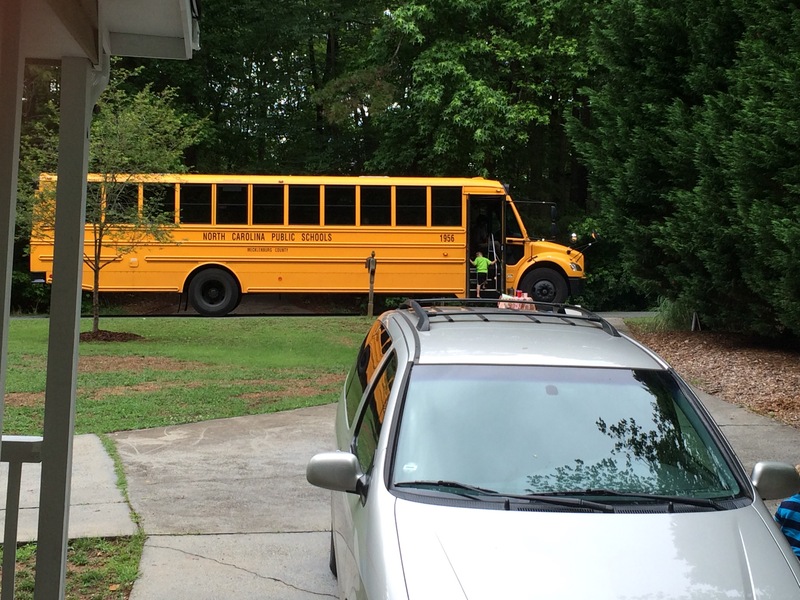 It makes me think that they really enjoy each others’ company…..
Wilson even got the school bus driver to pull over to buy a lemonade. He tried, unsuccessfully, the day before, but on this day he stood up on his chair and held up his sign as she drove by. Here he walking up the stairs to deliver her lemonade and retrieve his 25 cents. He thought that was awesome!! The rest of the week we had many, many movie nights. One night, I let them mix up the couch cushions to make a fort. Then they watched the movie and then they slept in the living room on all of the pillows. I was “fun mom” that night. One day we even walked around downtown Matthews, saw two trains speed by, went to the library, and Renfrows Hardware store. I didn’t get pictures of that because I knew that my phone would be a distraction and I wanted to focus on the kids and our trip together. Oh, did I mention that Tom was out of town all week? Yep, it was a busy four days. The days were fun filled and were a quick introduction to summer break. Although it was a bit tiring at times, I really enjoyed being at home with the kids. This entry was posted in Uncategorized on June 3, 2015 by Becca.